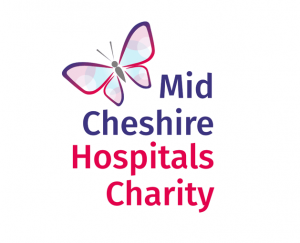 MCH Charity is a registered charity that manages all money raised for, or donated to, Mid Cheshire Hospitals NHS Foundation Trust, which includes Leighton Hospital in Crewe, Victoria Infirmary, Northwich, and Elmhurst Intermediate Care Centre, Winsford. The Trust is also part of Central Cheshire Integrated Care Partnership (CCICP), a unique local health partnership that provides a range of community health services for people across South Cheshire and Vale Royal. MCH Charity supports patients, their relatives and friends, staff and local businesses and organisations to raise money for the charity. All the money we raise is spent to enhance and improve the care and experience that people receive when using Trust services. We purchase state-of-the-art equipment, additional comforts and fund enhanced training for staff. The charity works closely with the Trust to make sure that all specialities are supported to spend every penny of the money raised on items that will directly improve patient care. Our current major appeal is called ‘Everybody Knows Somebody’ and aims to raise £1.5m to support a range of projects that will benefit people living with dementia and other cognitive problems who are cared for at our hospitals and in the community.